It has been my privilege to read Mary Boller's The Wisdom of Wimber over the past few weeks. Marty (can I call you Marty?) 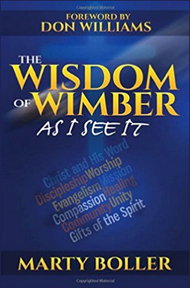 has done an excellent job of collecting a variety of the late John Wimber's pithy insights and pastoral wisdom, and sharing them in a readable, encouraging, and challenging manner. Almost a quarter century ago, John Wimber catalogued ten items that he considered to be "Vineyard essentials" in ministry. Using these ten markers as a starting point, Marty takes us through a devotional reflection on Wimber's writings. One of the greatest strengths of Marty's approach is that this is NOT a re-hash of Wimber's earlier books, Power Evangelism and Power Healing, as much as these books are definitely worth (re)reading. What makes Marty's book such a treasure trove is that the various Wimber quotes that begin each chapter are gleaned from less-accessible sources such as old Vineyard newsletters, pastoral updates, and conferences. These less-available sources round out a great deal of Wimber's very practical approach to ministry. The Wisdom of Wimber is written as a series of short devotional readings, rather than something that you would try and conquer in an evening or two of reading. This approach is another of the book's great strengths. Marty's desire is to encourage people to slow down and thoughtfully reflect on the practical and personal implications of the book's content. In fact, I would strongly recommend that anyone who gets this book read it in the same way: devotionally, ideally with a good cup o' coffee and enough time to ponder and pray about what each chapter presents. Marty's book functions as a challenging mental & spiritual check-up in many ways -- not something you should pound your way through. Serious reflection, aided by the questions and prayers with which Marty ends each chapter, is the most fruitful approach to take. Marty's method of unpacking Wimber's list of ten "DNA markers of a Vineyard" means -- aside from providing a well-rounded snapshot of what a Vineyard church should aspire to -- that there is something for everybody here. Worship, small groups, evangelism, preaching/teaching, missional… this collection of Wimber's insights, coupled with Marty's "As I See It" perspective, has some thoughtful input for everyone. I've watched this dynamic at work, and it actually plays out like this: people come (fashionably late) for the worship, and leave before (or during) the sermon. Marty Boller's The Wisdom of Wimber: As I See It has been an encouraging read for me: insightful, reflective, challenging, pastoral, and inspiring. There is so much we can continue to learn from the life and ministry of John Wimber, and Marty has done the Body of Christ a great service in creating this devotional and highly practical resource. Source: Wikicommons Re-reading a classic like Brethren, Hang Loose has been much more than a trip down memory lane. Revisiting your roots is always a good habit. You never know what the Spirit might impress upon you, all over again. Let me say, right up front: I sympathize greatly with those who self-identify as "done with church". One of the (dis)advantages of being middle-aged is that you've been around long enough to see some of the rot that has infected many churches. From carnal attitudes of pride and self-righteousness, to ego-driven mansion-building, to hype-n-hysteria theatrics, to the worship-tainment industry, and right on down to the small church traditions of gossip, rigidity and small-mindedness... yeah, it can look a little bleak at times. But it's still Christ's Body, His Bride. You know, the one He's coming back for. Bob Girard's words regarding the institutional church (a term he utilized even back in the 1970s) are timely for us in 2015. You could almost call this "a word for the 'dones'." "They may seem to be almost mummified in the grave dressings of unbiblical church tradition. They may be opposed to anything that would disturb the status quo. But that doesn't alter the fact that if they have thrown themselves on Christ for salvation and He lives in them, they are a part of the Body of Christ. "They cannot just be 'written off'. "We must not fit their mold, or pamper them in their immaturity, or back down in the face of their carnal outbursts. We must not stop seeking to bring renewal and revival to the church just because they don't like it. "But neither can we just write them off. They are brothers and sisters. Jesus said, if we do not have love for them, the world has a right to come to the conclusion that we are really not Christians at all. No look back at Bob Girard's Brethren, Hang Loose would be complete without revisiting the topic of house groups. Some churches call them "cell groups", others call them "small groups". For what it's worth, the Vineyard used to call them "kinships". Regardless of the name, the point of these groups was for spiritual growth and deeper relationships. 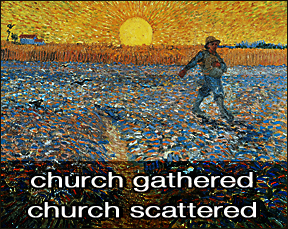 The "church gathered" in a corporate sense is an important touchstone in the spiritual rhythm of the Body. It can be a time of instruction, encouragement, and worship. Small groups, on the other hand, are where we can share our lives on a much more personal level than a larger meeting can facilitate. It would be very easy, at this point, to point out the many positive opportunities that small groups provide for mutual prayer, the use of spiritual gifts, learning together through Bible study, and so on. But as Girard points out, what sets these groups apart from simple social gatherings is their intentional focus on discipleship. There is nothing wrong with gathering socially per se (that's why God gave us BBQ's), but let's not confuse that with discipleship. By all means, let's celebrate and enjoy our friendships. Let's set aside time to simply "hang out" together. But let's also be aware that gathering as a group of disciples is a different thing, and while there may be overlap, there must be a degree of intentionality in our purpose if growing as disciples is important to us. Bob Girard's Brethren, Hang Loose is almost a half century old. 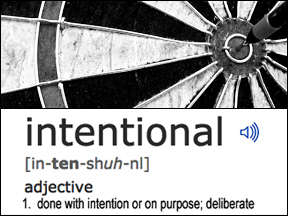 Not exactly what you'd call a current title in the whole missional community emphasis of today. And yet Girard speaks into our present day, almost prophetically, calling us to think deeply about the difference between the church gathered and the church scattered. 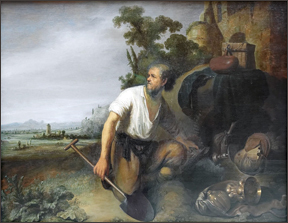 A significant change that Girard and the other leaders in his church made was to view "the church gathered" as discipleship, and "the church scattered" as evangelistic. Simply put, they met to be discipled, and evangelism was the overflow of discipled people sharing their lives with their friends, co-workers and neighbours. What is amazing to consider now, in hindsight, is that within a mere four or five years of Girard writing these words, the whole "seeker-sensitive" movement would begin to develop, essentially training thousands of churches to do exactly the opposite, by making the church gatherings all about evangelism. Today, those advocating for the concept of the missional community would do well to consider Girard's words on the church gathered and the church scattered. Many people who are excited about getting 'outside the four walls of the church' can -- at times -- make the idea of missional community their sole raison d'être. There is no "church gathered" in the discipleship sense. For some, the church meets in order to do acts of service in the community, period. Anything else (like discipleship, small groups, etc.) is viewed as self-centred narcissism. I don't think I'm over-stating it to note that some missional communities are structured and run as if it's their mission to "force" people (or at least guilt-trip them) into acting missional. Girard reminds us yet again that, while we can organize and challenge and inspire and strategize until we are limp with exhaustion, it is the Holy Spirit that produces real change, real life, and real (missional) ministry. If the church gathered is effective in discipling, people become accustomed to keeping in step with the Holy Spirit (Galatians 5:25), and the fruit is missional service and spontaneous evangelism when the church scatters. Bob Girard wrote these words 45 years ago; for the historically-curious, that's before Willow Creek, Hillsong, Saddleback or (insert your go-to example of a mega-church model here) ever existed or began holding conferences. 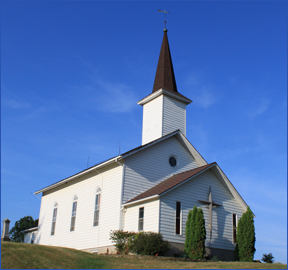 From this, we should take heart: the cycle of church renewal has been ongoing for many, many years. And 2015 is no exception. If there is a growing sense of dis-ease with the current state of the church, that should encourage us: we are walking in the footsteps of fellow Christians who have gone before us. The hunger for a deeper walk with Jesus -- even if it is initially voiced as discontent and disillusionment with "church as we've known it" -- points out the incompatibility of "success" with "discipleship". There is nothing new under the sun. 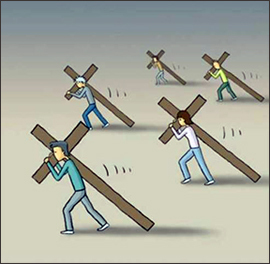 Jesus is still calling us to deny ourselves, pick up our cross, and follow Him. And the distraction of being "successful" (including but not limited to churches) is still lying in wait to trip us up. It's all about what grid we're using. Or, perhaps better said: whose example we are actually following. People want to use their spiritual gifts in the gathered Body, not just fill empty cog-spots in the machinery. Yes, in any gathering, there are always "things that need doing". That's inescapable. But what Girard is saying -- and I want to highlight -- is that "connecting" and "getting involved" has to be much more spiritually significant that just stacking chairs week-in and week-out. In fact, if I were a betting man, I'd wager that more people would willingly pitch in to assist with the "things that need doing", if their spiritual gifts were recognized, valued and able to find expression.